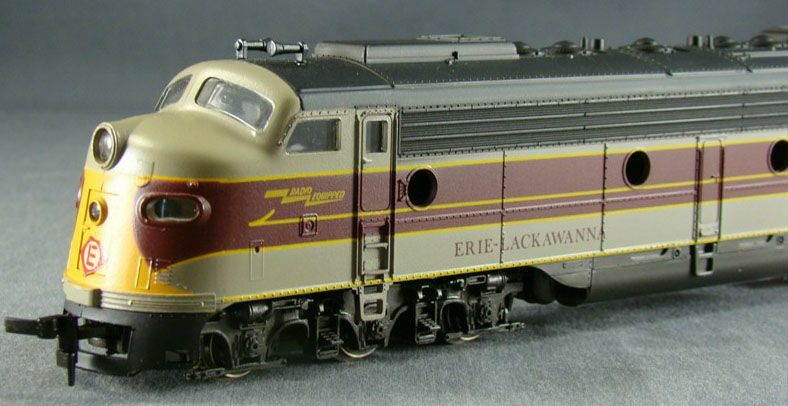 A mid 1974 addition to the AHM E8-A roster was a group of four new roadnames (Amtrak, Erie-Lackwanna, Milwaukee Road, and Southern Pacific). 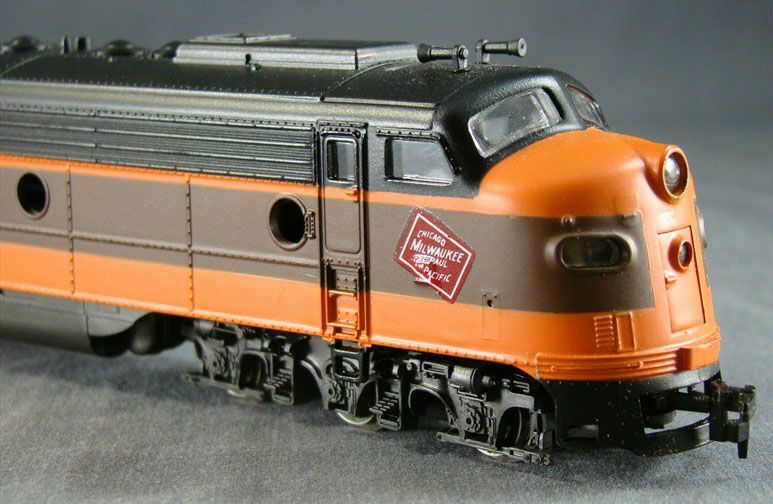 The retail in '74 for this model was $21.98 for a powered example. 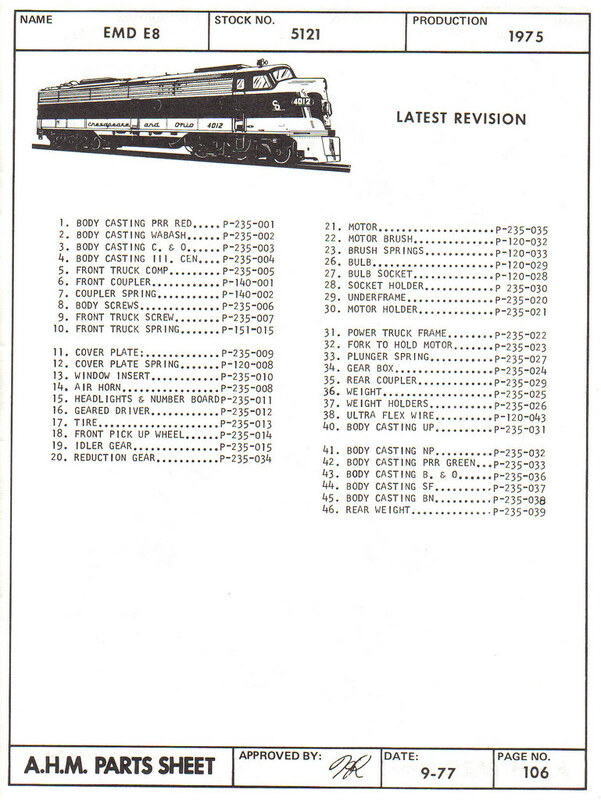 Announced in AHM's 1967-68 Catalog as coming for the Fall of 1967, EMD'S famous passenger loco was introduced in five roadnames(P.R.R., Wabash, C&O, IC, and UP) with a suggested list price of $14.95. The C&O illustration found on this page is taken from AHM's 1967-68 catalog. 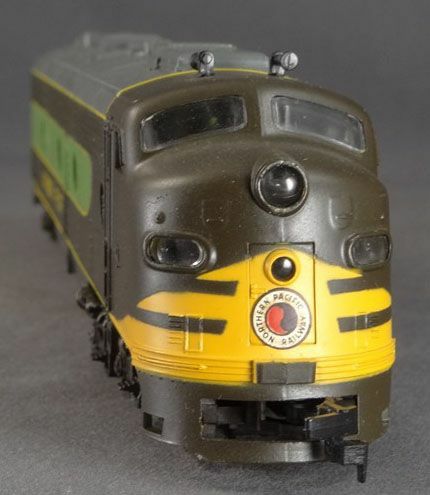 The model is listed by AHM as an E-8, but also noted as an E-9 in some catalogs. Spoting differences between the two prototypes are such that AHM was able to label this unit as either an E-8 or E-9. Rivarossi in Italy made the E-8A for AHM. In later years, Rivarossi sold this model under its own name in the United States. To my knowledge, AHM never offered the E-8 B-unit. This B-unit was introduced in the '80s, following Rivarossi's departure from the AHM line. As is my practice, I do not speculate with respect to stock numbers/releases. The Non-Powered E-units listed above are all that I have found actually documented by AHM in product listings. Adding a "D" to the end of the stock number was AHM's method for noting a dummy example. 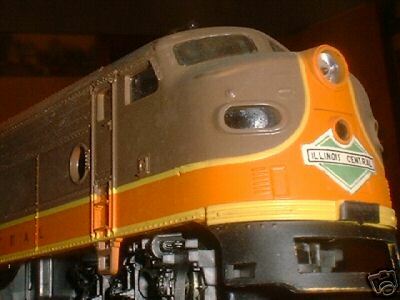 The Dummy E-8A sold for $12.98 in 1977. Powered examples are listed at $24.98 each in '77. 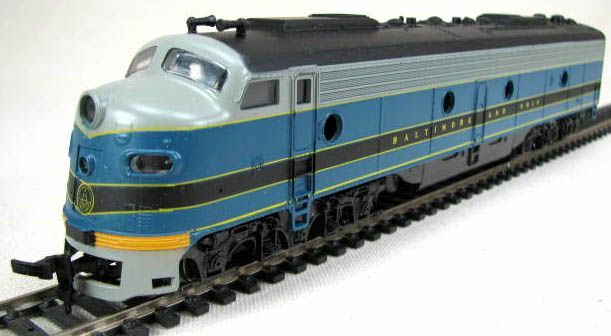 In April 1981, Con-Cor announced in an ad in Model Railroader magazine they would be releasing a group of matching E8 A-units (one powered and one dummy) for $89.98. 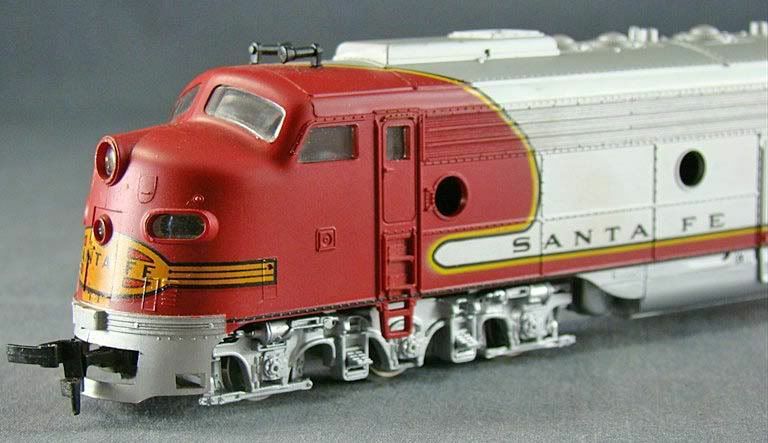 Three new roadnames are listed: MoPac Colorado Eagle (#900); Great Northern Empire Builder (#901); and New York Central 20th Century Limited (#902). The ad states Con-Cor is importing 500 of each set from Rivarossi in Italy. 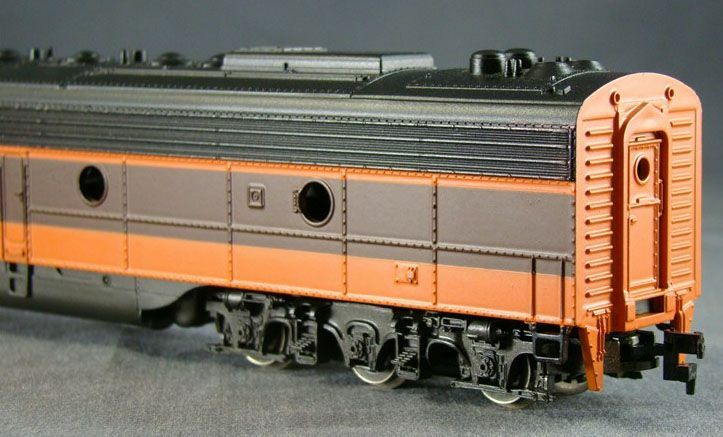 A limited supply of paired E8's featuring the prior AHM roadanames are also listed at $79.98. Above is AHM's parts list for the E8-A. You may click on the thumbnail image to open a large version for best viewing.